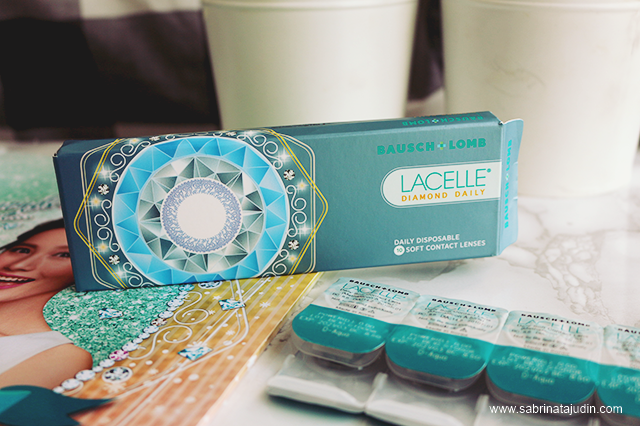 Bausch + Lomb Malaysia came out with more new contact lenses design, and this time it is their new series with is the Lacelle Diamond Daily. 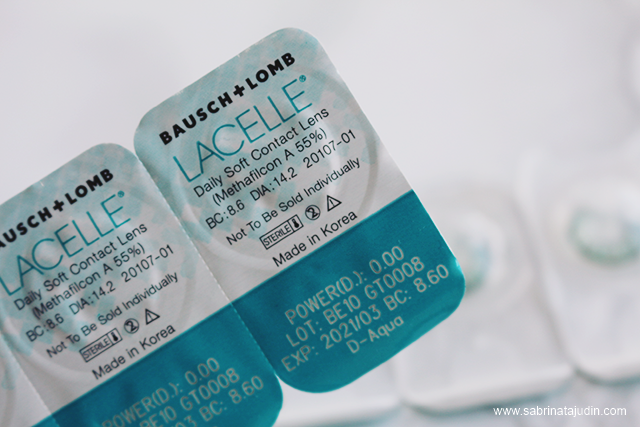 It a daily disposable cosmetic contact lens. 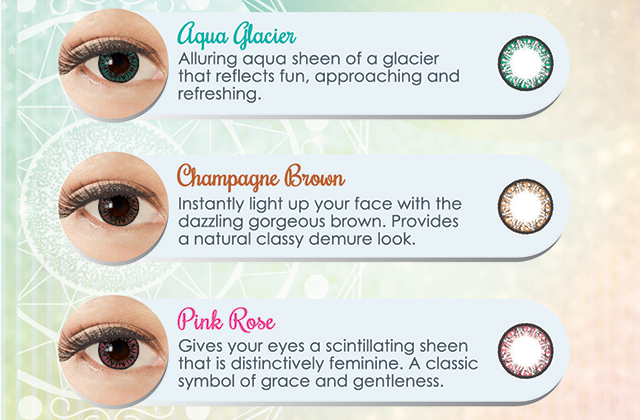 Not your ordinary daily lenses design but it has a more designed look that gives instant glamour eye for your daily use. I got the one in Aqua Glacier. This lens is made from Methafilcon A with 55% of water. I got mine in Aqua Glacier. You can choose between 10's (5 pairs) or the 30's (15 pairs) of lenses. It has a 13mm pattern diameter, unique diamond like design that is light-reflecting. On the lens itself it looks more like a turquoise color, more to green. Comes in 3 colour options such as Aqua Glacier, Champagne Brown & Pink Rose. Below image shows on how it looks on my eyes. I have black eye color. My review : This is my first time trying a daily colored disposal lens. My first impression on these lens when I first try it is that it does feels very comfortable. It feels "softer" on the eyes in terms of comfort. 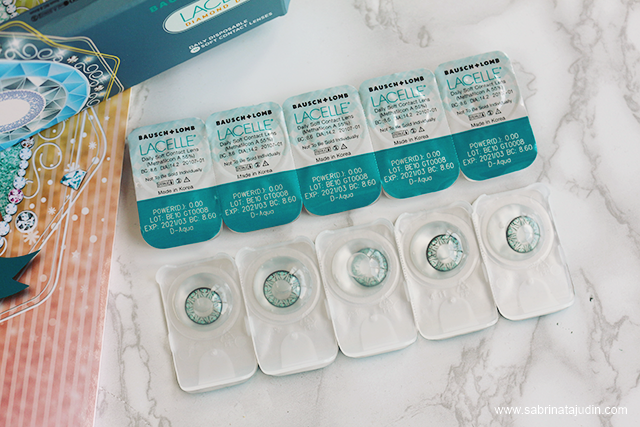 The color of this lens does looks pretty bold but since the diameter is 13mm, it looks pretty natural on my eyes. I wore this the whole day since morning till night and it does not makes my eye feels dry at all. I truly love this lens and would definitely check the other colors soon. The color of this lens on my eyes looks more to a blue-green color. I wish there will be more color option such as grey. I have this one too! 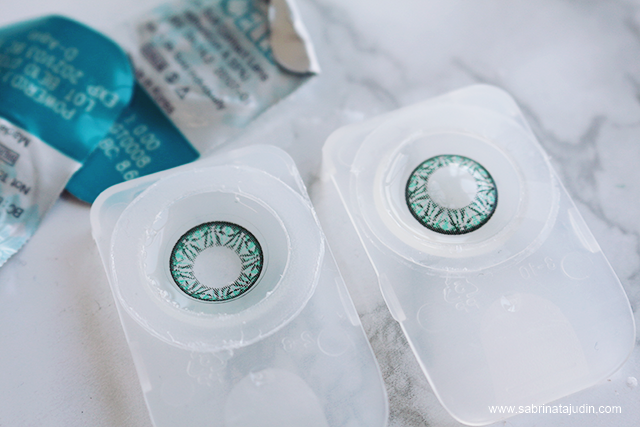 Currently loving this contact lens.